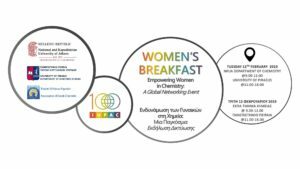 The event is part of many Global Women’s Breakfasts around the world and aims to assist women chemists to expand their network of contacts, both locally and internationally. In Atehns, Greece, it is co-organized by the Chemistry Department of the NKUA together with the Association of Greek Chemists and the Department of Maritime Studies (University of Piraeus). 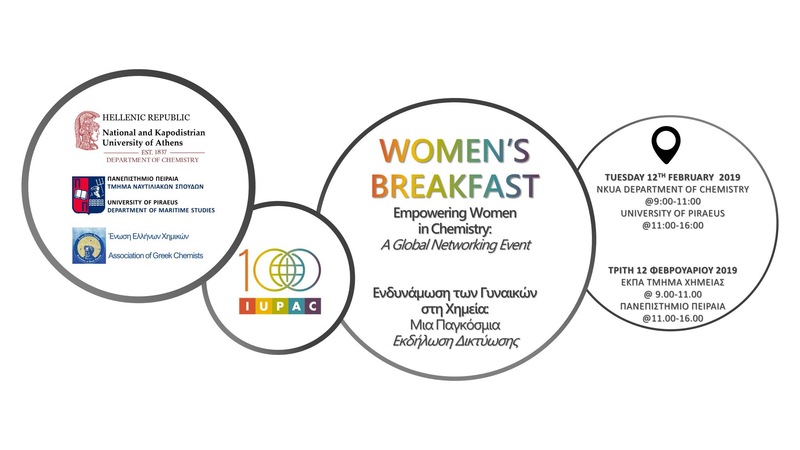 For more information, please see the Women’s Breakfast page.